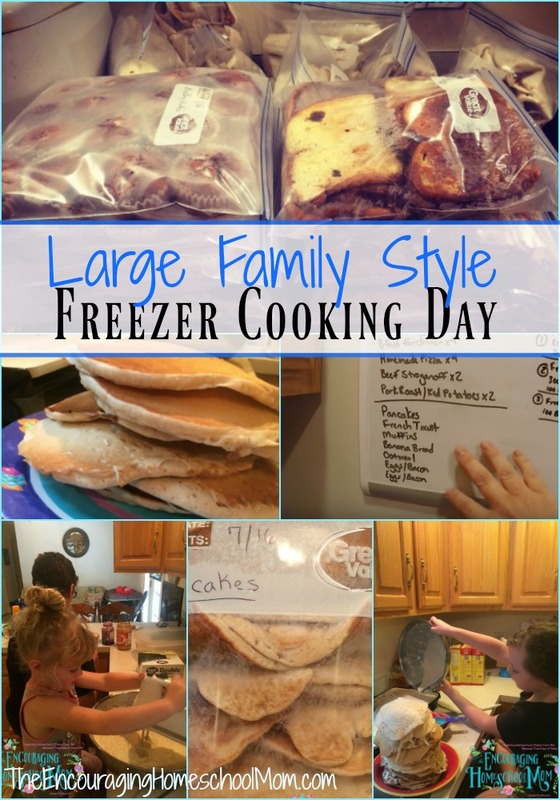 We jumped into a freezer cooking afternoon the day after my $620 Once-A-Month Grocery Shopping Haul. 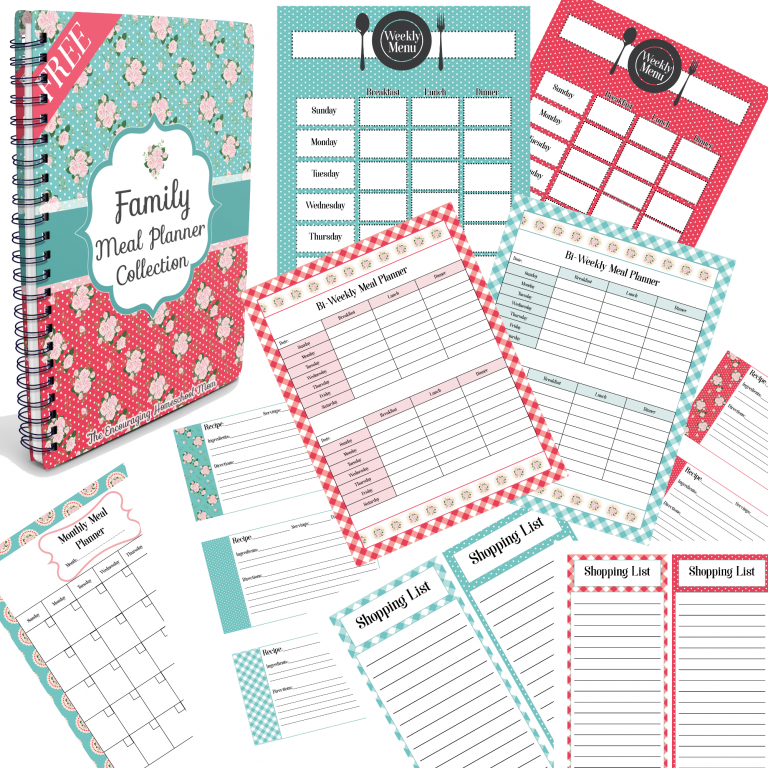 I knew I wouldn’t be able to prepare all of our dinners for the month in advance (although I’d like to work up to that point again). I figured if I could put in several hours over one afternoon, maybe two afternoons, we could get a great deal of meal prep and helps completed. 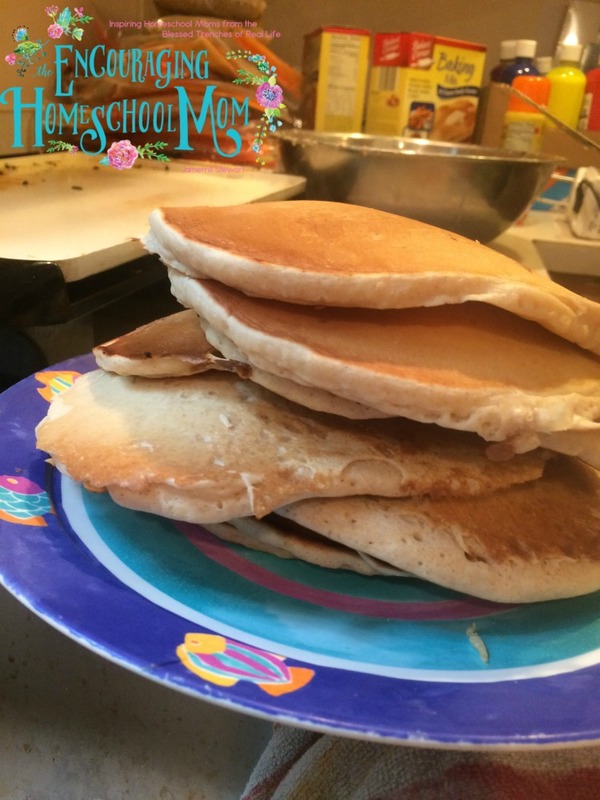 As you can see in my large family 4-week meal plan we have pancakes for breakfast once-a-week. I figured we’d need at least 4-gallon freezer bags full of Pancakes. I put almost 10-year old Naomi on the griddle to cook up 4 boxes of Aldi’s pancake mix. She did great! She sat there with her assembly line and made pancakes for about 2-hours. 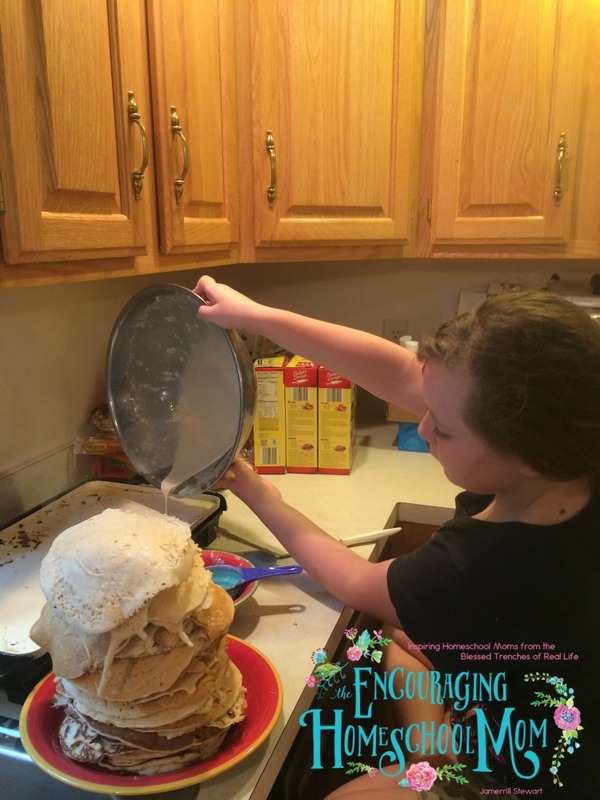 We ended up with five-gallon size freezer bags of pancakes, compliments of Miss Naomi! 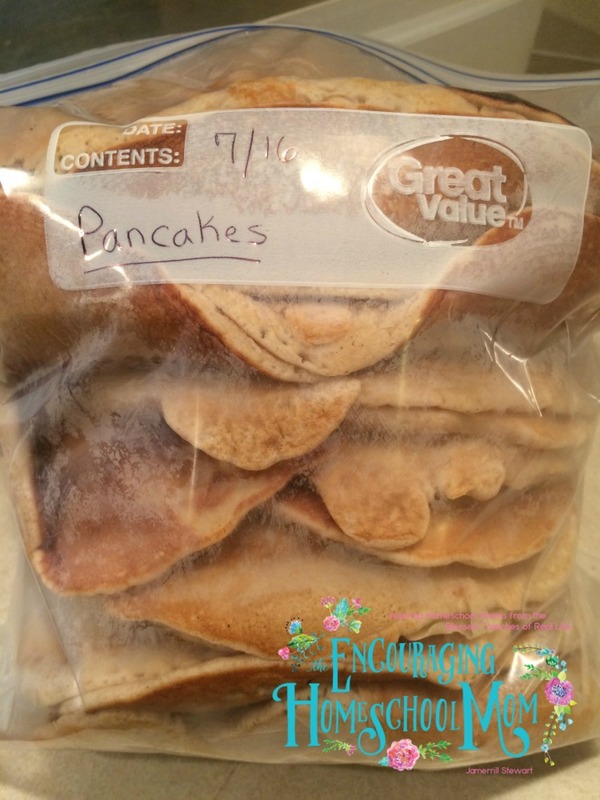 A few ladies have asked me how we keep the pancakes from sticking or having freezer burn. 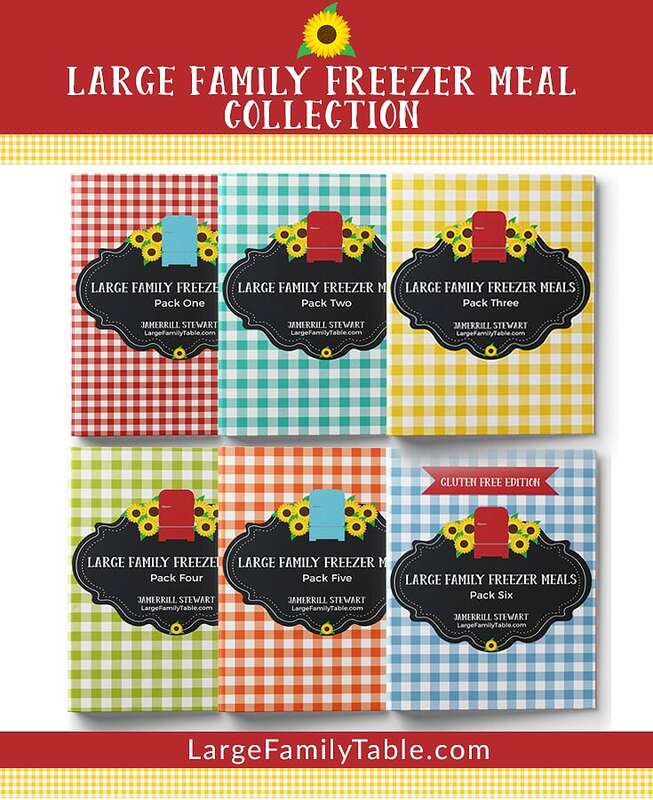 One thing to keep in mind is when we freezer cook we usually eat everything we prepare within 4-weeks. I don’t see a lot of freezer burn because items simply aren’t left in the freezer for months on end. I’ve only seen freezer burn (at least up to this point) when a bag has ripped unbeknownst to me. To heat up these pancakes I just set a frozen bag in the refrigerator the night before. In the morning they reheat lovely in the microwave. Amelia and I made muffins. Then we made more muffins. After we made muffins, we made more muffins 🙂 We ended up making 6 dozen cornbread muffins to go along with our Family Chili and Beans and Rice. We also made 10 dozen Apple/Cinnamon and Blueberry Oatmeal Muffins. Additionally, I made 4 loaves of Blueberry Oatmeal Bread. *I know I will be in trouble, but I don’t have my freezer muffin recipes on the site yet. I have those filmed though and Lord-willing they’ll be up soon! Making sandwiches ahead for the freezer is a big life-saver for us. It’s so nice to be able to grab a stack of sandwiches, along with a watermelon and water bottles, while heading out to the lake for the day. On this freezer cooking day, Zion made about 100 PBJs for the freezer. Jadin made right around 100 Turkey/Cheese and Ham/Cheese. A: We’ve never had a soggy sandwich. We use wheat bread from Aldi at the moment. Before Aldi we used Nature’s Own bread that I’d stock up on when it was marked down to $1/loaf at the Dollar Tree. I believe white bread would get soggy since it has a lot of sugar. A: We just stick a stack on the counter a few hours before we need them. Or we pull a stack from the freezer and put them in the refrigerator the night before. Back in the day when I use to do freezer cooking I would get the bulk of my meat cooked for the month. Since I now use the slow cooker so much this step most likely isn’t fully needed. 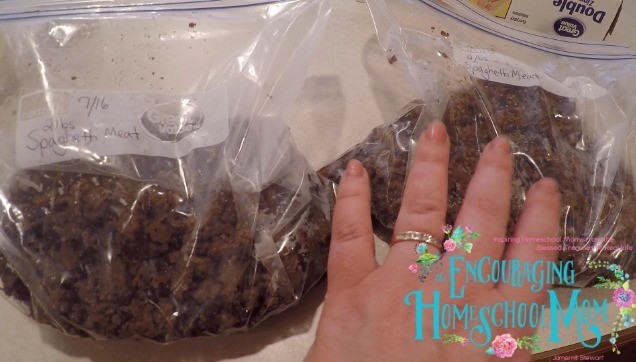 I still went ahead and cooked 27 .lbs of ground beef for my family meals for the month, along with 8 .lbs of boneless/skinless chicken breast. It has been nice to pop already cooked ground beef into my recipes and not have to fool with additional meat mess. We ended up freezer cooking for four hours, from 3pm to 7pm. We stopped and cleaned up at various points through out the day. However the messes still piled up. Our clean up time took about an hour at the end. We worked together and got it done just in time to head out for Fireworks! 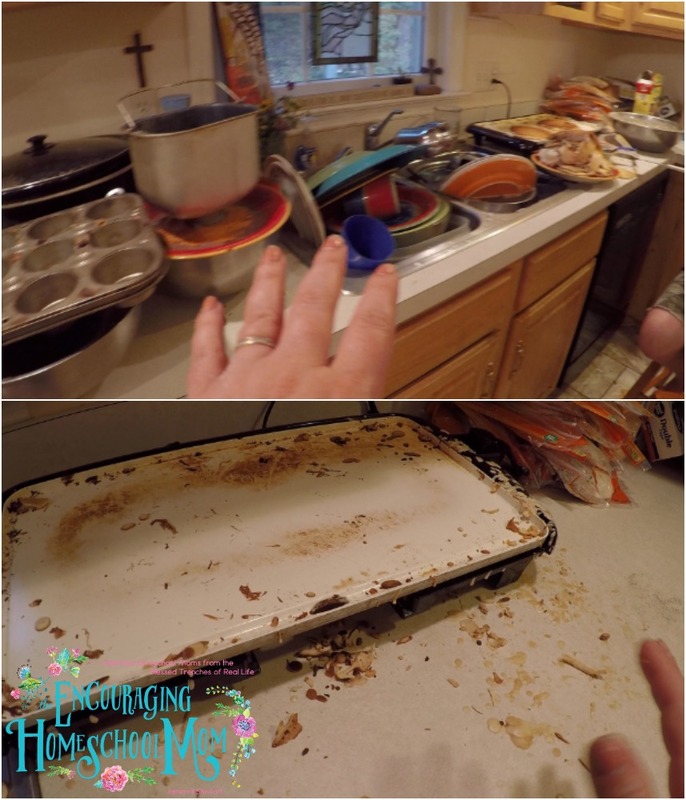 Click here to watch the full Large Family Freezer Cooking Day Part One | *so much* July 2016 on YouTube! 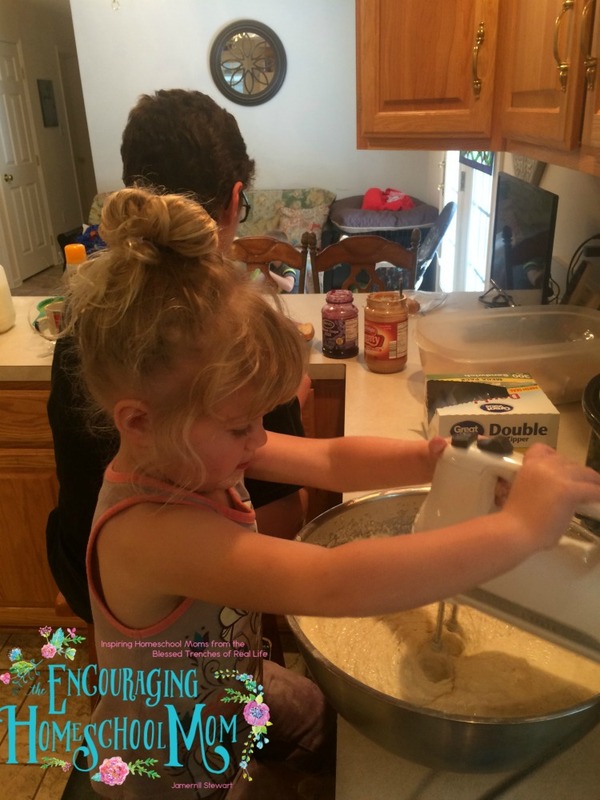 Do you have a recommendation for a young stay at home mom who is expecting her first? I am paid once a month and my husband really only likes beef and Italian food. I am 24 going on 25 and am not used to any of this. I have a bonus I have chickens and ducks so eggs are plenty but my husband does not like eggs. I adore these recipes. I can’t wait for your muffin recipes. 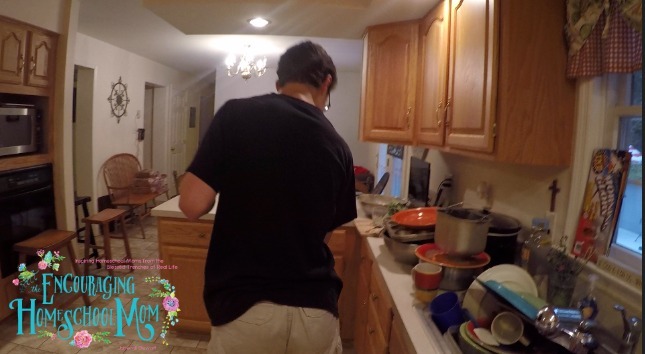 I had sd bf that I hv had strokes, so the vlog plus written recipes help so much. If you hv nt hd strokes or health problems, you may nt realize how much multi-tasking is involved w/cooking. Thanks again. I love all your websites and You Tube channels, but this one is my FAVORITE! I am a foodie at heart and I love to cook and eat and see what others create in their kitchens. And watching others food hauls is my thang! LOL! Thanks for sharing! How do you reheat the pancakes with out a microwave.? We use a toaster oven and works fine. Better than a microwave. We are a family of 8 soon to be 9. I make pancakes that are small enough to fit into the toaster, waffles and french toast also work well. 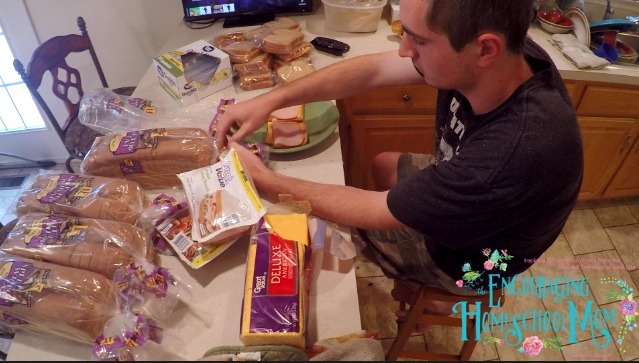 When making the meat and cheese sandwiches do you put mayo or mustard on before you freeze them or is that done right before they are eaten?